Return with us to the thrilling days of not too long ago when the west was wild and the rivers in the west were even wilder! Luckily there was one fish to maintain law and order, one fish to reel in those who dared disturb the peace and tranquility of Driftwood Gulch! 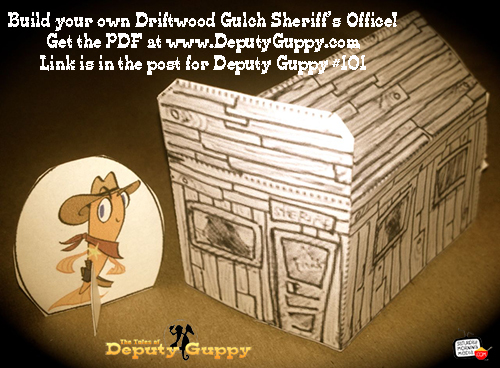 One fish to stand for truth, justice and honor in the untamed rivers of the wild west…Deputy Guppy!